There’s no middle ground on Richard Wagner. You either love him or hate him. Correction: there is a kind of middle ground that most people, including me, dwell in. To oversimplify, it is this: love the art; hate the artist. Wagner was a despicable man. He was proudly anti-Semitic and wrote those views into his characters (Alberich, anyone?). He was self-centered, violent, and had bad manners. But, oh, that music! Tomorrow is Wagner’s 200th birthday. In celebration, here are 16 things about Wagner you may not know. -We don’t know who his real father was. Most people believe his dad was Carl Friedrich Wagner, a police actuary, who died six months after Richard was born. Others think it might have been actor Ludwig Geyer, whom Richard’s mother Johanna later married. -He once played an angel in one of Ludwig Geyer’s plays. -He flunked out of most of his classes in school, only excelling in music. -His musical hero was Beethoven. 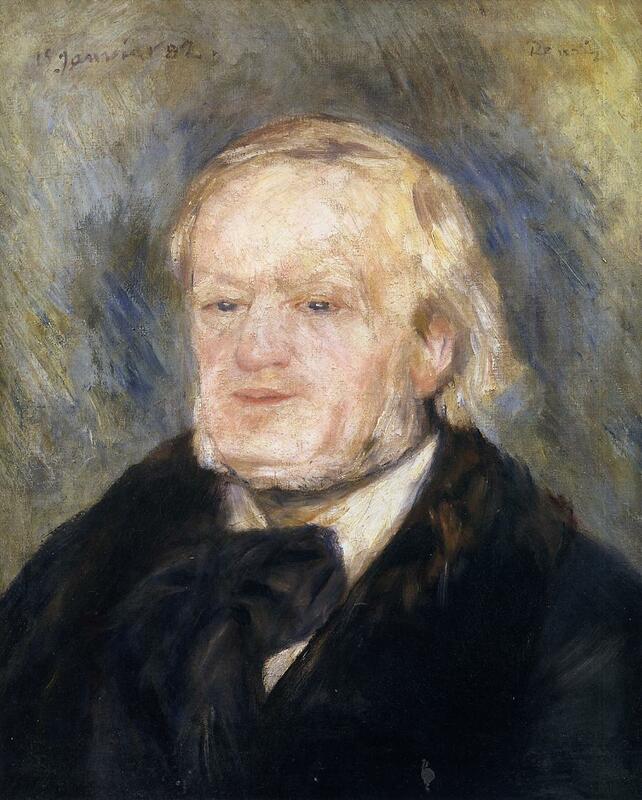 Wagner and Bruckner shared mutual admiration for each others’ music. -He briefly was the music director of the local opera company in Riga. -His first purely musical composition was a Piano Sonata. He also wrote a String Quartet, two Symphonies, and patriotic music for Great Britain and the United States. -He was once heterosexual life partners with Friedrich Nietzsche, before a famous falling out. -He could barely play the piano–or any instrument, for that matter–and wasn’t particularly great at reading music. 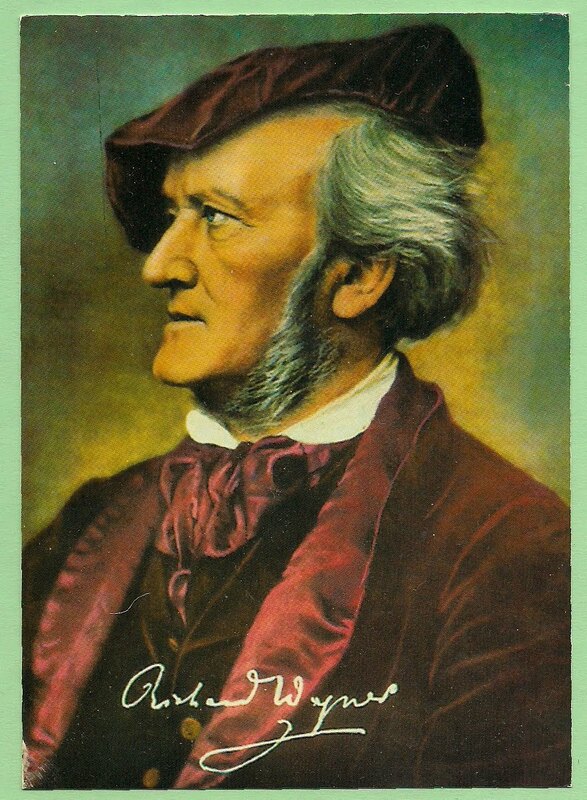 -Wagner’s first opera, Die Feen, was never produced during his lifetime. -He liked to wear women’s underwear.
? ?Wewant to make the most of the fixtures we have at Southampton and Wigan before we go to Manchester City and Arsenal which can be an important week for us. You can see on the pitch how hard he is trying to achieve that.However,yesterday he warned: ��Bankers were given incentives to behave the way they did.��Shadow Chancellor Ed Balls said: ��George Osborne doesn��t get it.The plans are meant to encourage more customers to shop around.����That��s different, Can they prove that a lad has positively tried to dive? athleticism and strength going forward making him a automatic choice for the majority of the campaign. I think, Brian, that there are plenty of us who fall into another group: love the music, hate a lot of the so-called dramaturgy, hate the vile utterances of the man, love the humanism and universal qualities behind the music that makes the hatred all the more incomprehensible and loathsome. Being Of A Certain Age, I’ve gone back and forth with RW plenty of times, since seeing a life-experience Nilsson/Windgassen Tristan und Isolde at SF Opera about 1970. Having gone through a several-decade patch when my listening pleasure alternated with Monty Pythonesque yells of “Get on with it!” I will say that the pleasures of playing the Ring Cycle, Tristan, Parsifal, Lohengrin, Tannhaüser and Dutchman with LA Opera cemented my (seemingly here-to-stay) devotion to the greatness of his odd and wonderful art. Oh by the way, I’m pretty sure it was Strauss who came up with the bit about looking in the direction of the brass section–one of many conductorial strictures I wish more stick-holders would take to heart. Didn’t know about his love for Bruckner’s music, though I’m pretty sure, too, that Bruckner venerated RW more than the other way ’round (viz. the dedication of the AB 7th). I think that one thing we can ALL agree on is that the neck beard is simply not on.